We spent some time in Bethany Beach and quickly learned that there are a lot of food options for breakfast, but only one can be the best! 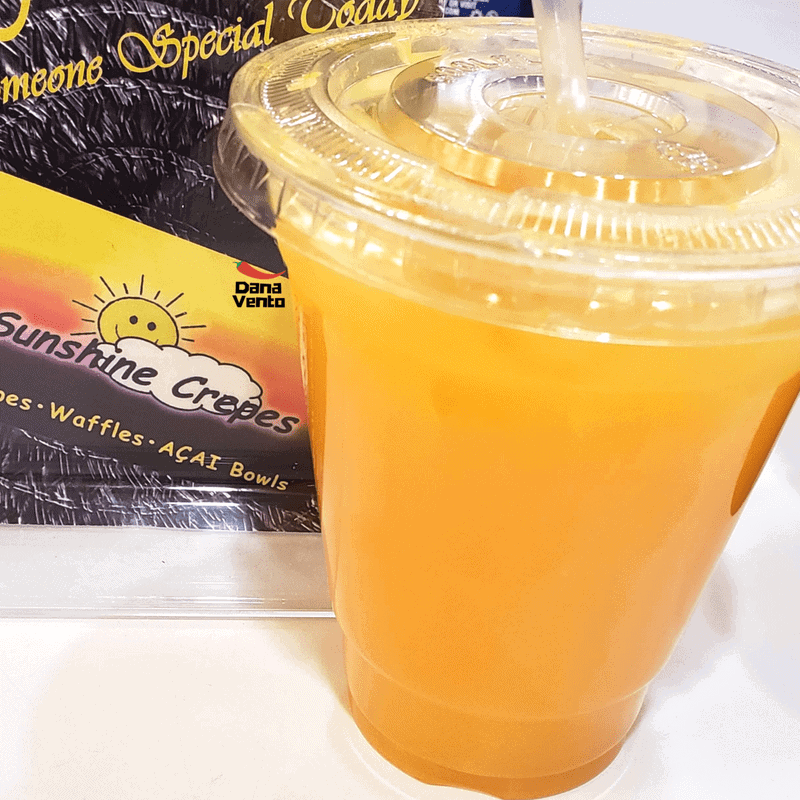 So, today I am going to share a secret with you about where to find the best crepes and waffles in Bethany Beach. As a TripAdvisor Ambassador, I am all about establishments that win their prestigious ‘TripAdvisor Award of Excellence’ because it means REAL People gave real opinions and they won! Did I mention they have these awards from 2014 forward (there may be more but these are the TripAdvisor Award of Excellence signs I personally saw? In other words, you want to eat here, it is that good! Breakfast or lunch, get ready for chomp, chew, obsess, indulge, and steal (from your each other’s plates) because you have not had crepes or waffles until you have experienced them here! Did I forget to mention they can accommodate food allergies? 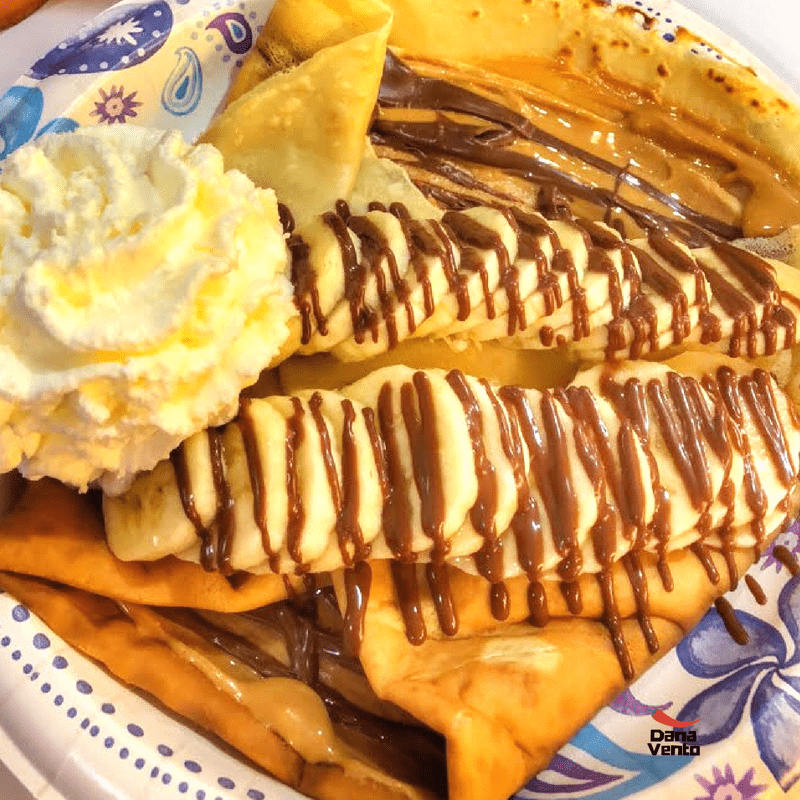 Lavishly live culinary travel out loud and try out the best crepes and waffles in Bethany Beach, as I am about to reveal where! If you guessed Sunshine Crepes in Bethany Beach as the best crepe stop you are right! Our meal was hosted however, images and content are my own based on my experience. Y’all know I only provide the best of the best on my site, after all it’s about lavishly living food and travel out loud! This is a definite must stop eatery! Park as close as you can to the boardwalk, at the metered parking. Here’s a tip, metered parking does not start until 10A daily so parking is free if you get there for early breakfast. We got there around 8A. You are looking for the peak on the building that says ‘Bethany Town Center’ and the list of all the shopping and dining options is on it. Now, the Town Center is on the main street, but the eatery is in the building, so you need to go where the staircase is and you will see this! Behind the staircase or to the left of it, is your destination, stop NOWHERE else, this is where to get breakfast from! Don’t believe me, believe all the TripAdvisor people that ate here already! It’s insanely delish! There are a few bench seats inside, as well as multiple tables. We ate at a table. 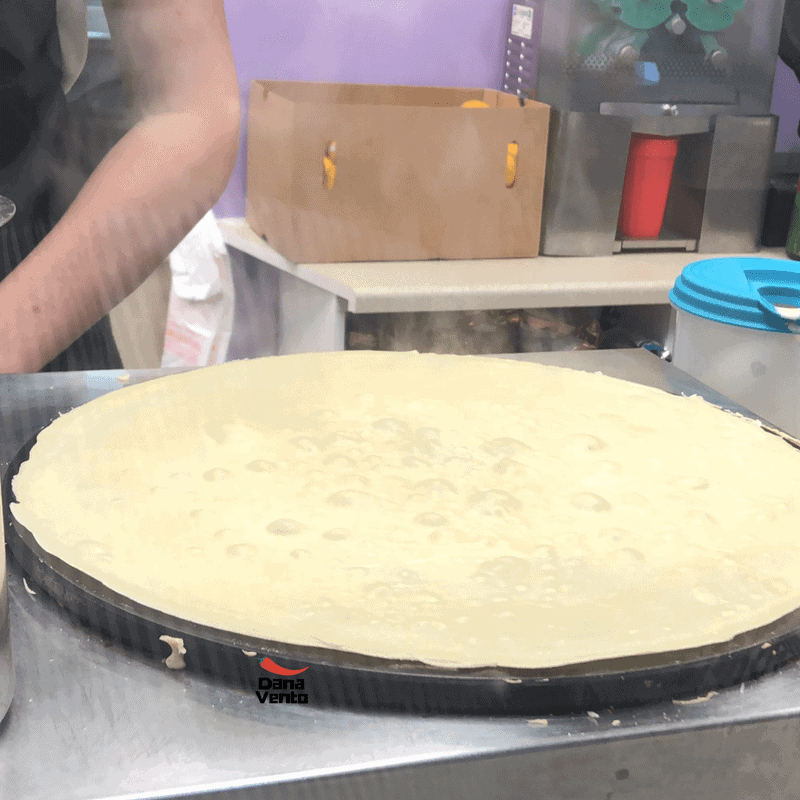 It is possible you will be mesmerized by the crepe making right in front of your face, but get control (I did not I started videoing, lol) and order your meal. One of my kids ordered Nutella crepe with bananas, look at the presentation of the full banana and all the chocolate love! Yes, she ate every single bite of it and it was hands off to her one brother! This is spectacular to look at and heavenly to eat! Now let’s see who else got what else. I might add, it was a pleasurable experience because my kids usually don’t get foods that their brother can’t enjoy, but they splurged. Seriously, nuts, peanut butter, banana, and Nutella are death on a plate for my one son with food allergies, but heaven to the others, so they indulged! Good for them! Where Niko Travels dined on allergen-friendly crepes (no nuts, shellfish, latex, or honey, etc), and ate a chocolate crepe! He was so happy to be able to enjoy chocolate without worry of nut contaminated and they were very careful I heard all the orders being taken care of from behind. (Niko did not eat the berries, we took those OFF right away, so if you are allergic to berries be sure to tell them!) We forgot, but it was not a big deal, we handled it ourselves, while Niko panicked a bit, lol! Then there was me! I went rogue and ordered a Belgium Waffle and oh I am glad I did! All the time I was photo’ing and sipping on my iced vanilla coffee and orange juice, I never ate. But, when it was time to get down and dirty with the waffle, it was crisp as though it had just been put on my plate. A dollop of Vanilla Bean ice cream (like my body needed that, shame on me! ), and whipped creme and fresh strawberries, all I could do was eat! Total yum on a plate. You won’t go home hungry or disappointed with a stop here. In fact, you will be happy you are close to the Bethany Beach boardwalk and all the shops so you can walk off that food! Thank you for your story, Dana! I’m a big fan of crepes, and in your photos, they look very beautiful and tasty! I will definitely visit this place soon. I will try not to eat anything before going there in order to be able to taste the maximum of their dishes. This is a great post, it made me very hungry! There looks like there are some great places to visit in Bethany beach to have crepes and waffles! I love Crepes, these look so delicious. The place looks nice, I would love to visit it. Great pictures! Ha! You both are so cute. I’m so glad you had fun, and it looks like the crepes are really delicious and fun to eat. We had a great time, the owner Justin is a wonderful host! We were lucky enough to meet him! They look delicious. Especially the whipping cream. The crepe must be really delicious. Thanks for sharing. These look so yummy!! I’m pregnant and now I’m craving this lol. I enjoy trying different types and flavours of waffles and pancakes when I travel. Some of these look delicious. OMG these look delicious!!! I love crepes! This place is totally going on my list for my trip to Bethany Beach! Yum! They are delicious for lack of better words!